SHOOTING DOGS IN THE U.S. SHOOTING DOGS is coming to theatres in the U.S. under the title BEYOND THE GATES. It is opening in New York City on March 9th and rolling out to more cities in the following weeks! So if you are in the States, you will now have a chance to see this incredibly powerful film. The site is visually stunning and is filled with compelling features, including an in-depth look into the story, helpful links and information about joining the cause to bring an end to genocide worldwide, and even a special feature about filming on location in Rwanda. Of course, the trailer and showtimes are available there as well. It’s definitely worth checking out! SHOOTING DOGS WINS TOP HONOURS AT THE HEARTLAND FILM FESTIVAL, INDIANAPOLIS. Last week, SHOOTING DOGS was awarded the 2006 Grand Prize and $100,000 at The Crystal Heart Awards Gala, the climax of the Heartland Film Festival. The film's writer David Wolstencroft was presented with the award by legendary actor Jon Voight. This is a particularly significant award for the film with the US release now scheduled for early 2007. The Heartland Film Festival takes place every October in Indianapolis, aiming to recognise and honour filmmakers whose work explores the human journey by artistically expressing hope and respect for the positive values of life. This year, the biggest crowd in Festival history gathered to honour those special films that enrich and inspire their audiences. 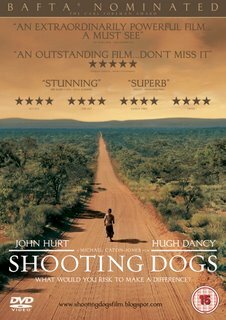 Thanks to the fantastic and supportive team at Amazon.co.uk, we've secured a special offer from them for readers of this blog for the DVD of Shooting Dogs. It will then record a discount of £4.00 from the standard amazon selling price. SHOOTING DOGS DVD IN STORES TODAY!!! We will be publishing details of a special DVD offer for readers of the Shooting Dogs blog soon. 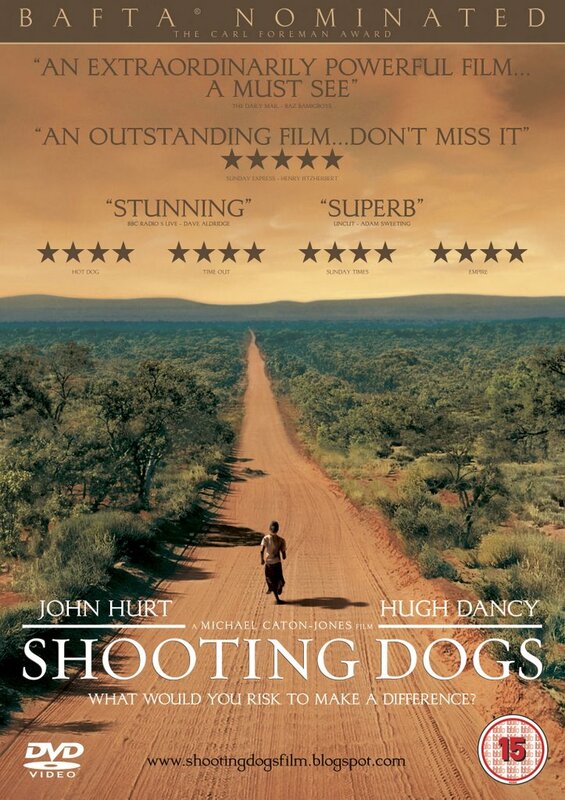 Just a quick reminder that 31st July sees the highly anticipated DVD release of 'Shooting Dogs'. We'll be publishing details of a special offer for readers of the Shooting Dogs blog soon. The Inaugural Peoples' Prize - Mont Tremblant Film Festival, Canada. 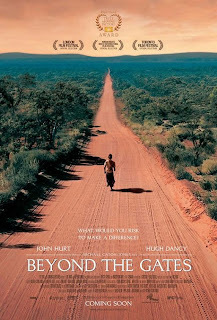 As well as a director approved transfer of the film, there are a host of special features which explore how the film came to be, what the effect of making the film has been on the filmmakers and survivors involved and how you can do your part to assist in the ongoing struggle against injustice and genocide. Michael Caton-Jones, David Belton, writer David Wolstencroft, Film Education and our friends at The Aegis Trust have all contributed to what will be not only a fantastic edition of the film but also a superb educational resource for anyone involved with, or interested in, this area of soial and political history. A full list of the disc's special features will be up shortly. This is the official website of the new feature film 'Shooting Dogs'. This site contains constantly updated news, views and diary entries from the cast and crew. You can also see the latest photos, trailers and much more. Have a look around and leave your thoughts. For more information on using SHOOTING DOGS as an educational resource, please click here. This is a Flickr badge showing public photos from alicop21. Make your own badge here.